Pop!_OS is an incredible Linux distribution based on Ubuntu. But what's more amazing about Pop!_OS is its support for the Nvidia and Tensorflow graphics cards, which is a great feature to opt for Pop!_OS as a distro. In this post I will show the steps to get Tensorflow GPU 1.13 with python3. Pop!_OS 18.04 supports the graphics card with an ISO image that has the most current proprietary drivers that System76 maintains. The most current driver is version 418, you can check the version installed on your OS with the command nvidia-smi. Pop!_OS has a metapackage to natively install Tensorflow and CUDA, however this metapackage installs up to version 1.9 of Tensorflow. First we install the necessary packages to start our development with python3, we will install pip and venv to manage the dependencies of our python projects. To install version 1.13, the last stable of Tensorflow, we need to have the Nvidia 418 drivers and install the following dependencies for CUDA and Tensorflow. Now install the necessary CUDA packages. 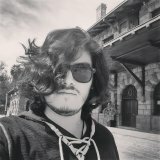 There are CUDA packages with version 10.1, however they do not have support for Tensorflow 1.13. See here. We started a new virtual environment for our dependencies to this project. Having activated the virtual environment already allows us to run both python3 and pip3 as python and pip respectively. Install Tensorflow. The correct package to install Tensorflow with CUDA support is tensorflow-gpu. Test the installation of Tensorflow.